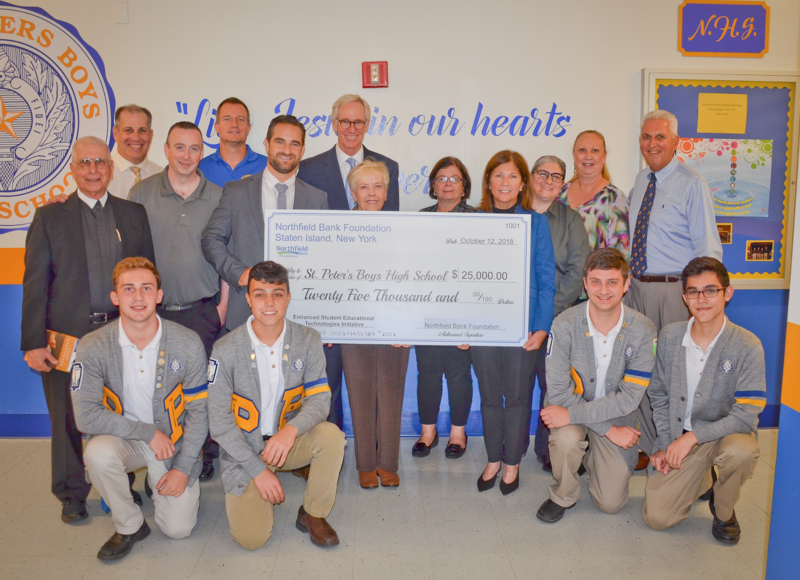 Staten Island, NY (October 11, 2018) – The Northfield Bank Foundation announced today that it has made a grant of $25,000 to support the Enhanced Student Educational Technologies Initiative at St. Peter’s Boys High School. The funds will be used to replace dated smartboards with new generation, fully-interactive 4K touch-screen models in all classrooms, provide iPads to incoming students and purchase and install state-of-the-art robotics and lab diagnostic equipment to support the school’s STEM curriculum. The Northfield Bank Foundation was founded in 2007 to support nonprofits groups, institutions, schools and other organizations operating in the communities served by the bank in Staten Island, Brooklyn and Central New Jersey. The Foundation focuses its efforts on projects to support education, health and human services, youth programs and other types of community organizations or civic-minded projects that improve the quality of life in those communities. To date, the Foundation has given over $7 million in grants. 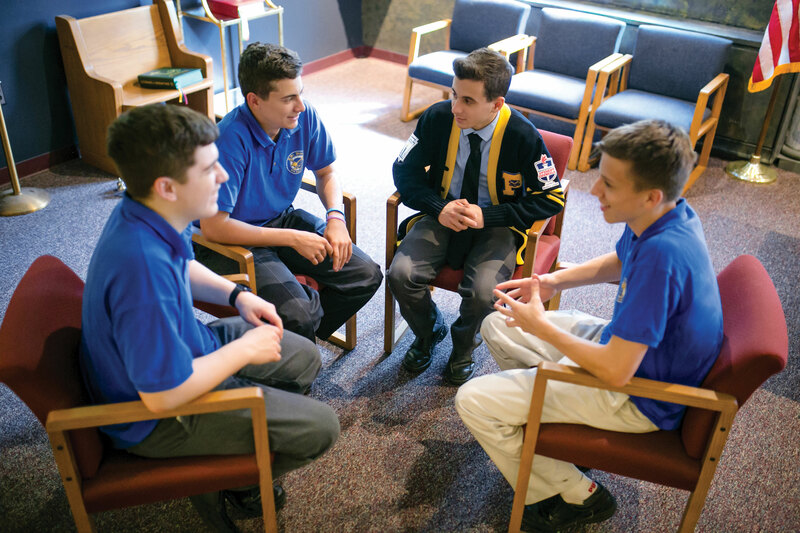 “At St. Peter’s, we are committed to expanding the use of technology to support both improved student achievement and provide further opportunities for graduates to emerge with the 21st Century skills in information management and evaluation; critical thinking; collaboration; cooperation; and, communication required for success in today’s world,” added Michael Cosentino, the school’s principal. Northfield visited the St. Peter’s campus on Oct. 12 for a check presentation and to tour the school.